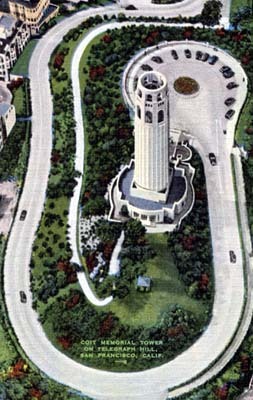 From the time Lillie Hitchcock Coit was ten years old, she would enthusiastically chase Knickerbocker Engine 5 down the street, cheering them on – hardly proper behavior for a young lady of the upper class! 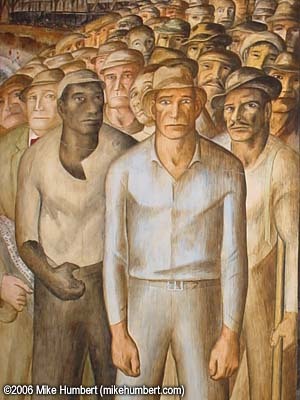 Eventually, she became an honorary member of the firefighting squad, and even had her own helmet. 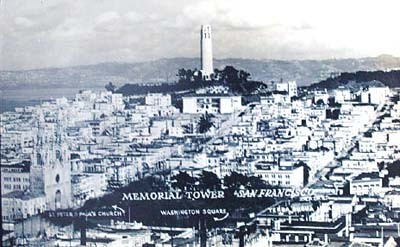 When she died in 1929, her will left a pile of money to construct a memorial to the firefighters who died in the 1906 fire. 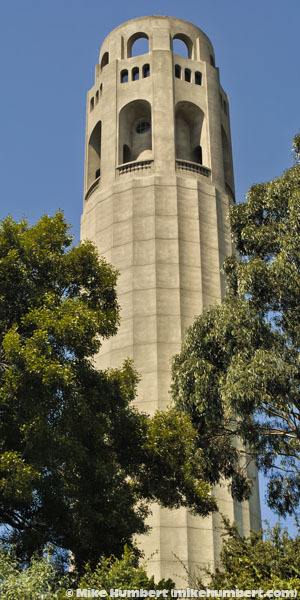 Contrary to urban legend, the 210-foot tower was never intended to be a firewatch station, nor was it designed to resemble a firehose nozzle. 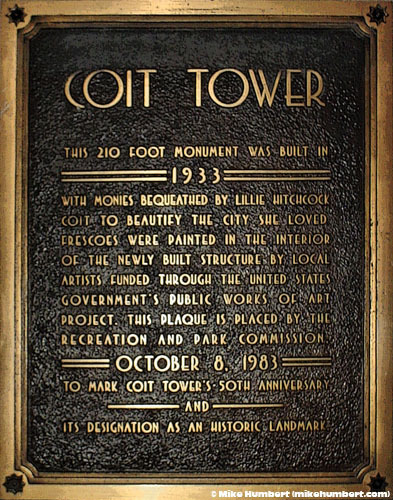 The whole story, preserved in brass. 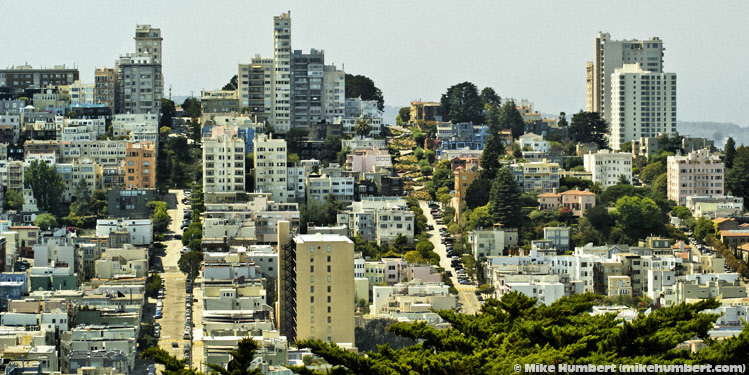 Nearby Russian Hill, as seen from Telegraph Hill. 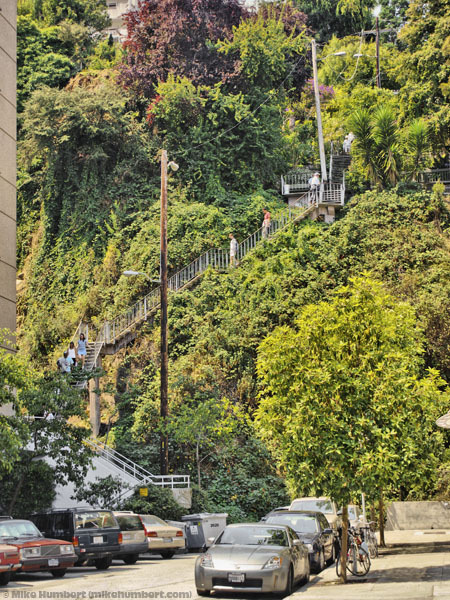 The entire eastern face of Telegraph Hill was quarried away in the late 19th century, for use as ship’s ballast. 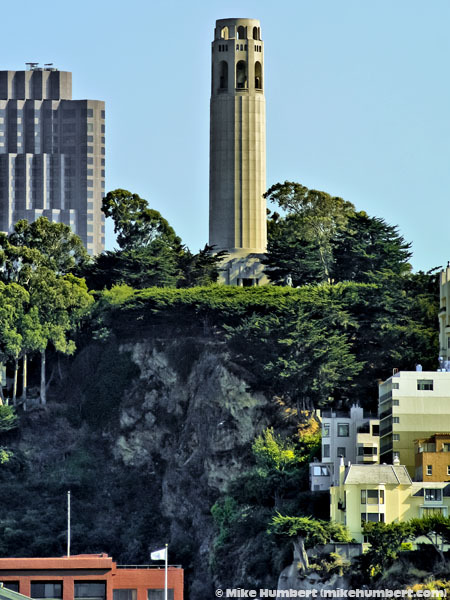 From Coit Tower, you can see the Golden Gate Bridge to the west, and the Bay Bridge to the southeast. 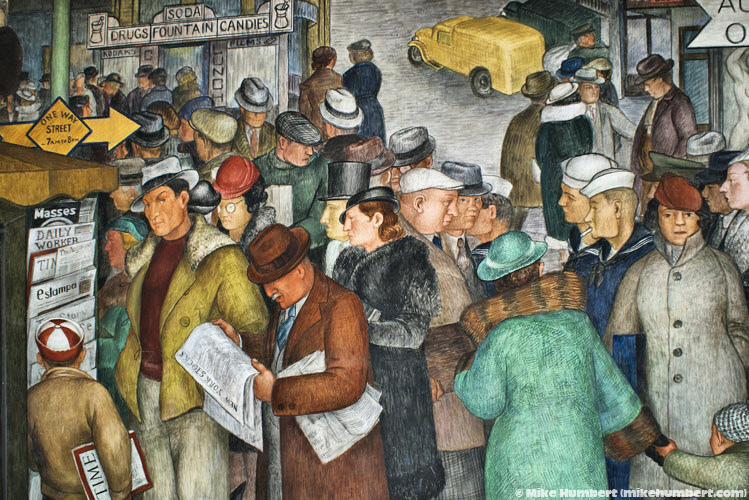 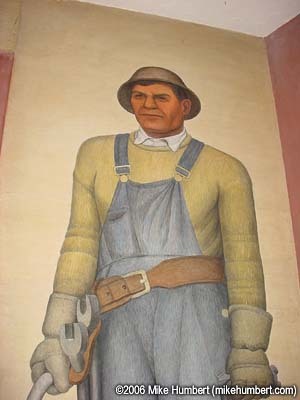 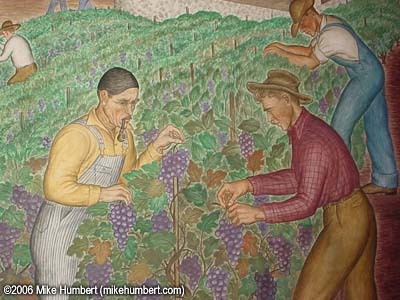 One of the most intriguing features of Coit Tower are the Depression-era murals depicting people at work (or, in some cases, out of work). 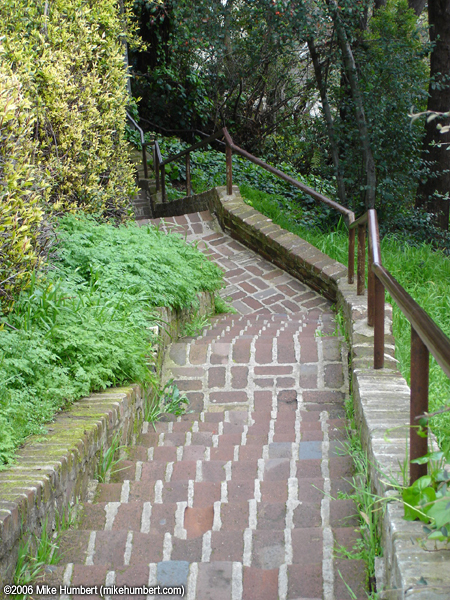 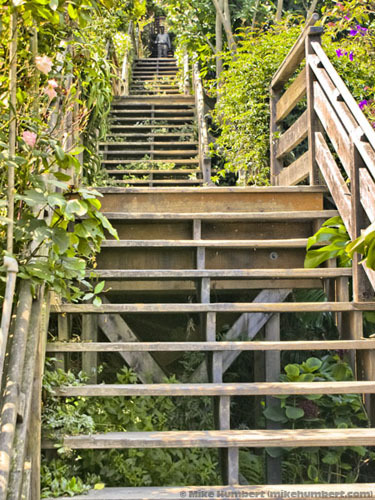 A fun way to leave Coit Tower (actually two ways): The Filbert Steps and Greenwich Steps, each of which descend the steep eastern face of Telegraph Hill. 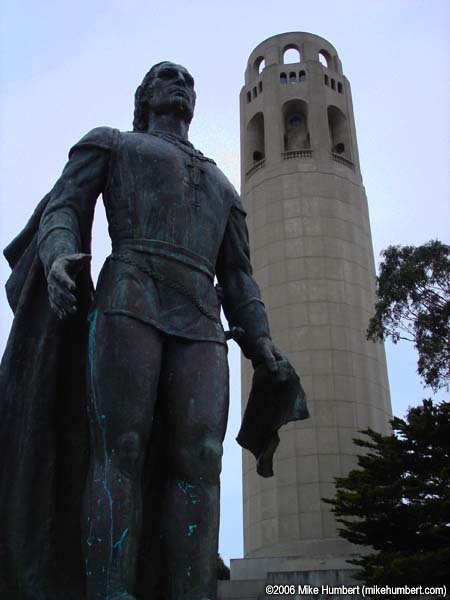 The Christopher Columbus statue in Pioneer Park.